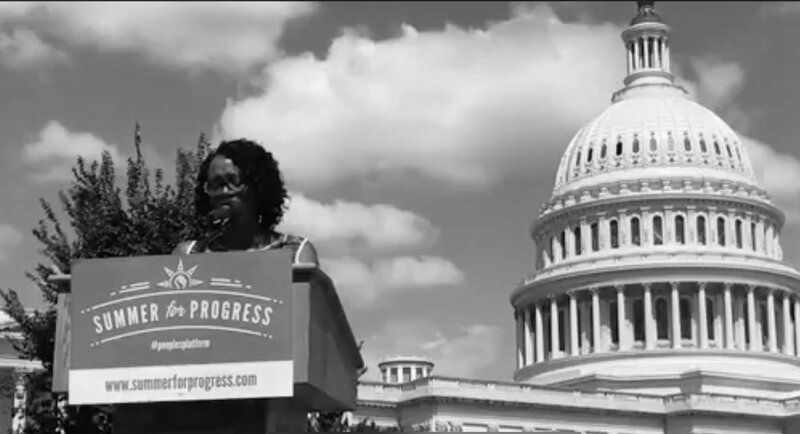 On this show, the political organization, Our Revolution, founded by Senator Bernie Sanders, launches its ‘Summer of Progress’ campaign with a rally on Capitol Hill and a push for eight pieces of legislation called the Peoples platform. We speak to the new president of Our Revolution, former Ohio State Senator Nina Turner. Also, it’s the fourth Friday and media critic Janine Jackson is in the house to discuss possible U.S. war crimes in Mosul, Fox News and right-wing trolls. Headlines on Trump’s Trans ban in the military; in the midst of the healthcare debate, Medicare turns 52; activists protest anti-BDS Senate bill and Gerald Horne discusses Russia-China military maneuvers, the Ray McGovern-Bill Binney report on the so-called DC ‘hack’ and solidarity with Venezuela.